Your dream slide, hand-crafted for you. Every detail executed to perfection. Lovingly hand-polished to a flawless mirror finish. A special place in your heart. "Do you take this slide...?" Engineered to last a lifetime. Between them, the Wolfram Martin Simpson and Michael Messer Signature Slide cover a lot of ground, and represent absolute perfection for most players. However, we know that some of our customers have very specific preferences for dimensions, fit, weight and edge profiles. Our Martin Simpson and Michael Messer Signature Slides both started off as custom shop projects - now we can work with you personally to create your very own Signature Slide in solid tungsten carbide. Wolfram Slides founder David Browne will work with you to understand exactly what would make your perfect slide - in terms of tone, sustain, fit, and feel. "Terrific machining, wonderful balance, great tone ... you will have to cut my finger off to get this back from me !!! Congratulations on producing the ultimate slide .... every player should have one and even the outstanding review in Guitarist doesn't do it justice.."
You will benefit from our insight and deep experience in slide dynamics, as we develop a unique design just for you. 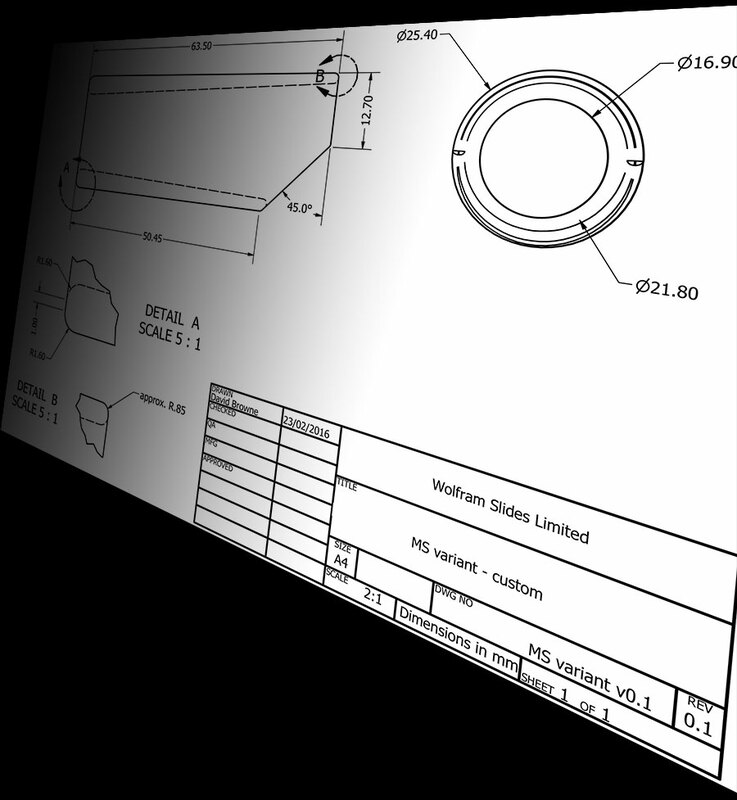 We can customise every aspect of our tungsten carbide slides - even down to the feel of the internal surface. Each custom slide comes with a detailed technical drawing showing all dimensions and features, and we can estimate the final mass to within a couple of grams. We design all our slides using precision parametric CAD technology, and in our pursuit of perfection we have used state-of-the-art prototyping techniques such as SLS 3D printing to achieve perfect finger fit. 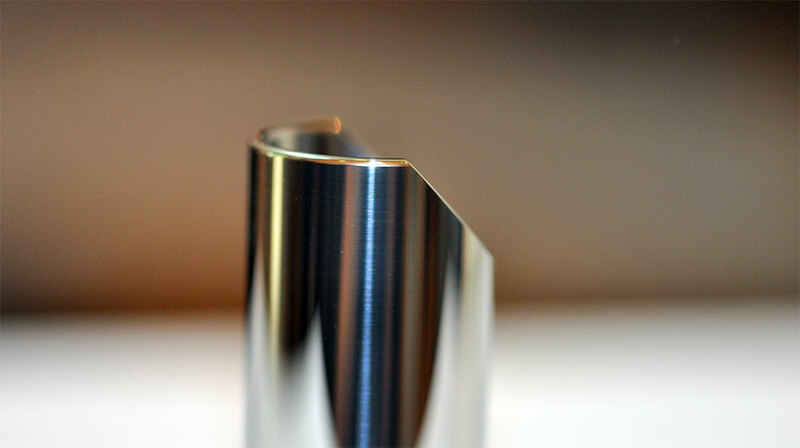 All our bespoke slides are handmade, and we manufacture to a tolerance of +/- 0.05mm. 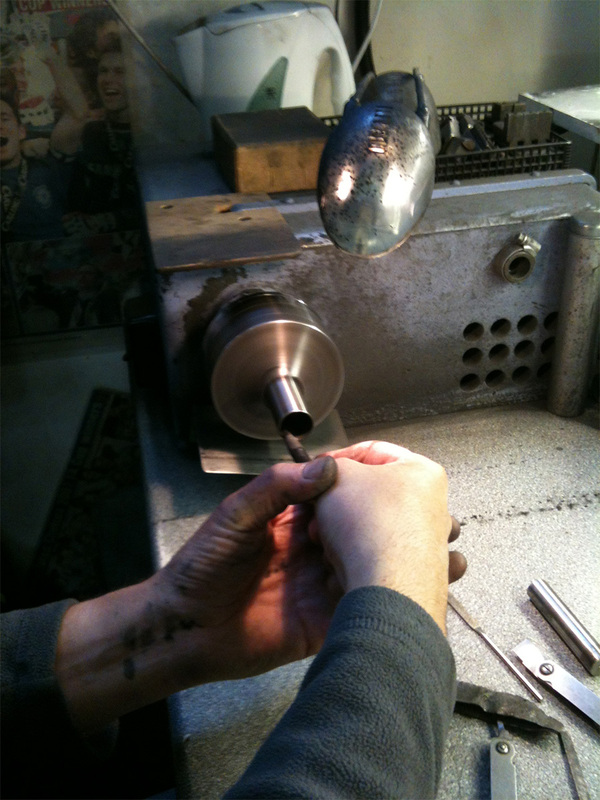 A fully bespoke guitar slide will cost more than one of our standard models, but remember: because each of our slides is already hand crafted, your dream slide may not be as prohibitively expensive as you might imagine. Our fully bespoke tungsten carbide guitar slides currently start at around £350, including design consultancy and manufacture. "The slide is exactly what I wanted. It fits perfectly snugly on the little finger, and feels just right for weight. It's a real work of art, and amazing how accurately you made it to my dimensions." We would be delighted to hear from you if you wish to discuss a custom commission! Please contact us to tell us a little about your requirements, and Wolfram Slides founder David Browne will be in touch to discuss your slide in detail. Our initial design consultancy is at no charge - we will ask for a deposit if you decide to go ahead with an order to cover some of the material and manufacture costs, with the balance payable on completion of your new bespoke slide.